Welcome aboard to all my wonderful healthcare adventurers! My name is Jennifer Cheung and I am the founder of Nurse Cheung. I am a Cardiovascular/Open Heart Intensive Care and Emergency Room Registered Nurse. I received my Associates of Science in Nursing (ASN) in 2013. Nursing school is one of the hardest and most challenging programs. I almost failed twice (once in pharmacology and once in pediatrics). I feel for every new nurse who walks through the healthcare doors with inquiring minds. I understand how difficult that journey is: the endless nights of studying, care plans, emotions, lack of sleep, and lack of social interaction. However, becoming a nurse is not fun and games either. You are now responsible for the patient (no longer your preceptor). I spend nights wondering what I forgot to chart, how my patients are doing, what I could have done differently, and how my heart/care can change people’s lives. With so many different specialties, it is hard to decide which specialty is the right one for the right individuals. Fortunately, the Cardiovascular/Open Heart Intensive Care and Emergency Care found me and I have been in love ever since. My advice to all new nurses is to consider doing Medical Surgical nursing for a year to understand the fundamentals of patient care. It is very difficult to start nursing in the Intensive Care, Emergency Care, or any department for that matter. In 2013, I started my career on a Progressive Care Orthopedic Unit in Central Florida. It was one of the most rewarding experiences in my career. I learned many valuable aspects to nursing that I continue to bring to my patients while working in different specialities. I had the opportunity to both precept new graduate nurses and perform charge nurse duties for the floor. Precepting is unbelievably valuable for both the graduate nurse and seasoned nurse. In 2014, I completed my Bachelor’s of Science in Nursing (BSN) with the University of Central Florida concurrent program. For those who do not know, the Concurrent Program allows individuals to obtain their Bachelor degree within two years versus the four-year track at most universities. In order to complete this program, you must be enrolled in a community/state college and a university. One of the most torturous experiences in my life. In 2015, the Emergency Department bug caught me and I have been in love ever since. The Emergency Department keeps you on your toes and teaches you something new everyday. Who doesn’t love an Adrenalin rush?! Critical thinking in the Emergency Department has been invaluable in all aspects of my career. I had the opportunity to precept and perform charge nurse duties while on the floor as I did previously in 2013. In 2016, I took the leap in my career for Travel Nursing. Travel Nursing consists of nurses who leave their home city and commute 50 or more miles to another healthcare facility by filling their temporary needs for staffing. Unfortunately, when I started travel nursing, the resources regarding the subject were slim and many articles contained incorrect information. My recruiter at the time did not provide accurate advice regarding my travel nursing career causing my first year as a travel nurse to be very difficult. My husband and I purchased a 2012 Heartland Sundance 3200RERV to travel and live in during my assignments. I can honestly say this was one of the best experiences in my career. RV living is a much cheaper option than agency supplied housing or hotel living. 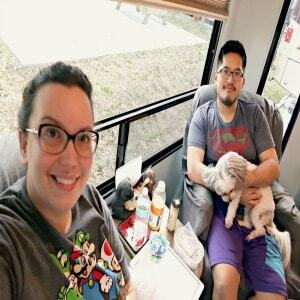 I have learned a tremendous amount of education and have written many articles regarding the subject of RV (recreational vehicle) living while Travel Nursing across the United States. In 2018, my husband and I decided to settle down and purchase a home. In addition, I decided to look at different specialities and found my heart “literally” in Cardiovascular/Open Heart ICU. I continue to thrive in the critical care environment and love sharing my passion with those who are excited to learn. 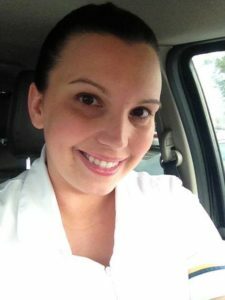 I founded Nurse Cheung in 2016 to provide both pre-nursing applicants, nursing students, graduate nurses, and seasoned nurses with resources and education. I cover topics from pre-nursing examinations (ATI, HESI), anatomy and physiology lectures, nursing school classes/examinations, NCLEX prep, healthcare education including critical care/emergency care, wellness/health for healthcare professionals, travel nursing guides, and so much more.